Martin has a long history in design and sourcing of fabrics, and was originally from the wallcoverings and interiors industry. 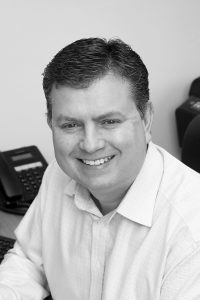 As well as being MD of Hannah Williamson, Martin is also the MD and owner of the two other companies in the group. Married to Hannah and proud “Dad” to three border collies. Spends what little spare time he has playing drums in a blues band and honing his culinary skills! Hannah graduated from Huddersfield University with an honours degree in Textile Design. She was instantly snapped up by one of the UK’s most progressive retailers and put in charge of a £30m annual budget for soft furnishings and interiors. Hannah started the interior designs business some years ago now and has never looked back. Her design inspiration and creative use of colour has impressed customers and consumers alike and coupled with strong business acumen, Hannah has developed a great end product. Married to Martin, Hannah spends time with her three border collies and loves the outdoor country life. 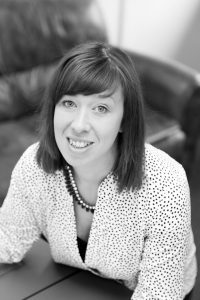 Helen joined the company three years ago from the hospitality industry where her superb organisational skills were tested to the limit. Helen now enjoys the variety that each day brings in the company, and loves getting involved with all the latest fabrics, wallcoverings and furniture ideas. Helen project manages each individual assignment with incredible detail and accuracy and makes the liaison between us, supplier, customer and consumer seamless. A film buff, Helen has also just taken on a renovation project of her own. Good luck!! Rachel joined the company a year ago after graduating from Manchester School of Art with a very good degree in Textile Design. Rachel puts together all the latest collections from our various suppliers into integrated theme boards by colour and by design style, thereby linking all the latest offerings by our suppliers into fabulous finished design concepts. These are then used as the ground work for creating the finished design briefs for all our customers. Rachel gets the stress of the day out by playing netball and is another film fan! Ella has been with us for six years and is now in charge of all in house production. Nicknamed “Magic”, as she can sew anything! Working closely with Hannah and the team, Ella not only manages all our in house manufacturing, she also helps develop new products, new designs and new innovations from our fabric collections. Ella spends her free time with her young family and comes back to work for a rest! Liz, as well as being Martins PA, manages all transport and logistics, and arranges the diaries of our fitters. Liz has been with us four years and also comes from the hospitality industry and has spent many years in Switzerland. Liz speaks fluent French, which is handy for our Swiss customers in our other companies. Liz enjoys the theatre followed by a good curry!